For Jonathan ceramics has been a family tradition spanning four generations. The earliest records show a Barrett-Danes pottery at Hoo in Kent in 1834. Jonathan completed a degree in ceramics at Bristol Polytechnic in 1985. After leaving College, he worked at Hereford Art College as a Technician for a year. Then after a few years experimenting with jobs and travelling he secured a job at a good private school in Portsmouth where he stayed for 14 years. During this time, he continued to develop his work. He now devotes all his time to his art form. Although Jonathan’s primary interest was the wheel thrown object he soon realised that if he was going to carve a living out of ceramics he was going to have to make something else. Coupled with this very classical approach, he found that the humorous fluidity of cartoon drawings provided a happy contrast. 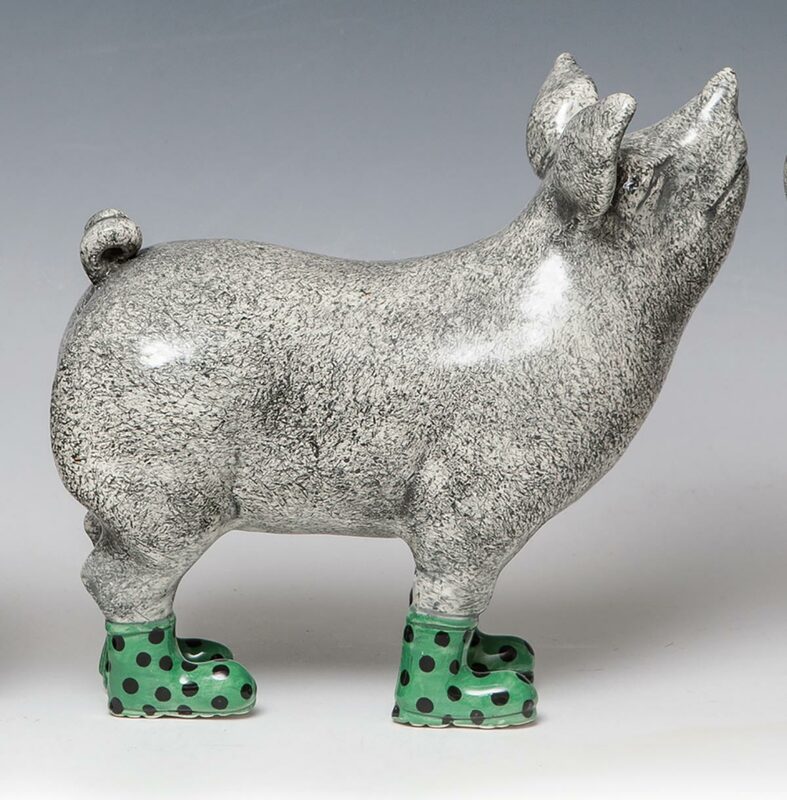 He started with a pig, which seemed to come quite naturally to him and since then he has been concentrating on developing hand built animal forms.